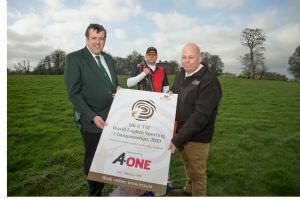 The 2019 Championships will be supported by animal nutrition company A-One Feeds, part of the Devenish Group, and will take place from 3rd - 6th July this year. The Devenish Lands at Dowth is a stunning 500-acre parkland estate on Ireland's ancient east coast, with its many wooded valleys and hills running alongside the River Boyne, making it an ideal location for rural sports. "At A-One Feeds we are deeply rooted not just in agriculture and the food industry, but ultimately in our rural communities, and it is great to have the opportunity to support this fantastic sporting event which has been going from strength to strength since the first championships in 2011. "It is fast becoming a flagship event in the country sports calendar. Some of the biggest names in the sport will be competing, and we are looking forward to welcoming shooters and spectators from all over the world to Dowth." Outside of the competition itself, visitors to Dowth will have the opportunity to visit the trade village with exhibitors showcasing sport's leading brands as well as artisan foods, country clothing and much more.